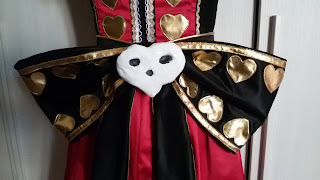 This is part two of the making of the Royal Suit, which will cover the lower sleeves, the bow, the skull, and the Vorpal Blade. 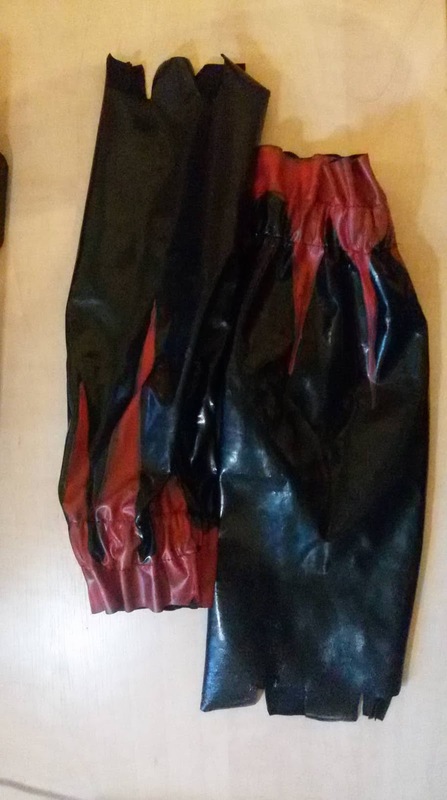 These are made from black vinyl. I painted red stripes on with red acrylic paint. 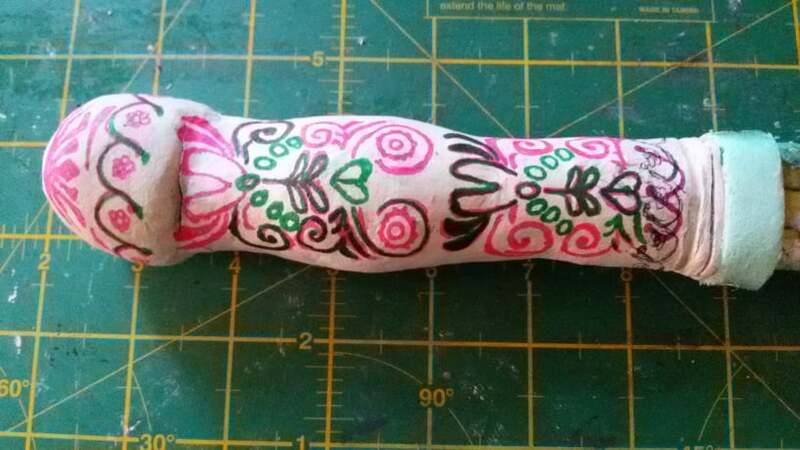 These "sleeves" were designed to be tight around the upper arm and loose around the wrist, but I added elastic to the wrist portion to create gathering. 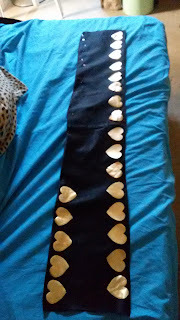 These are a bit rough and I wish I'd added more crenallations, but they're not too bad. 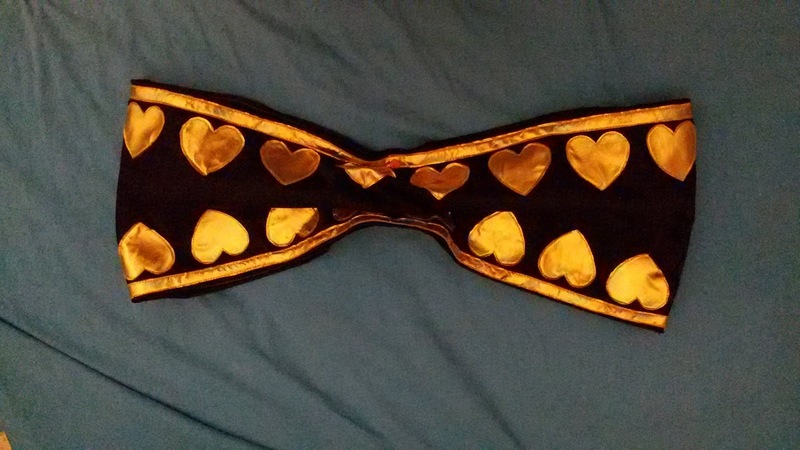 Alice's bow isn't a simple rectangle. 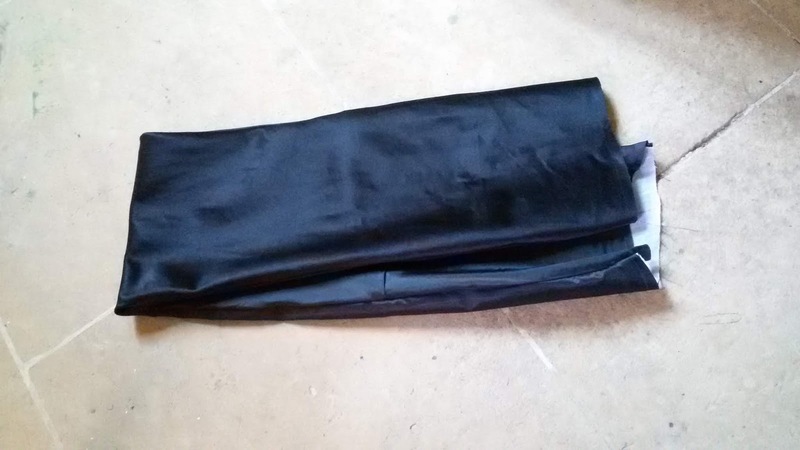 It seems to be a tube or loop of fabric; it's a bit hard to describe. 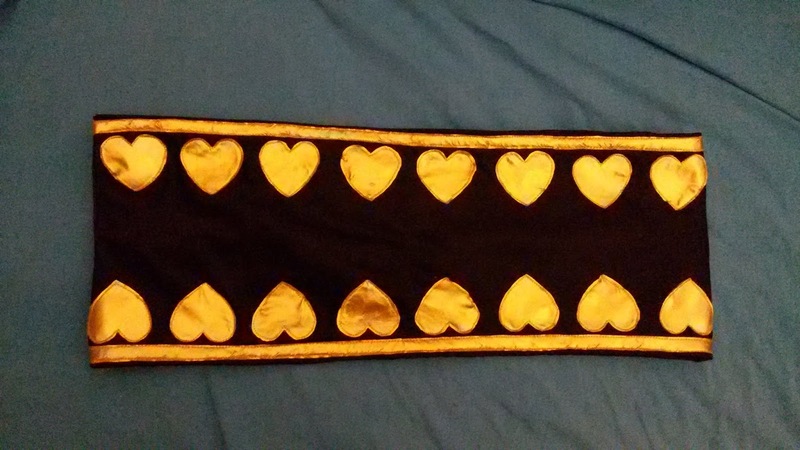 I used some leftover black satin and a lot of interfacing. 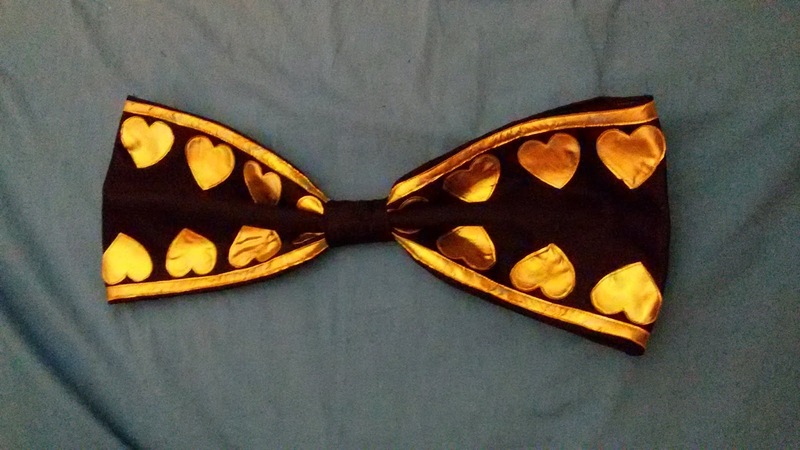 The gold details are more interfaced spandex. 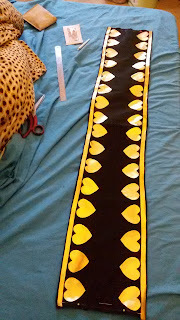 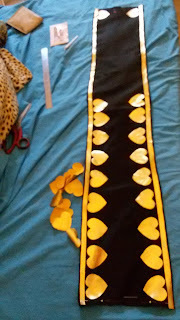 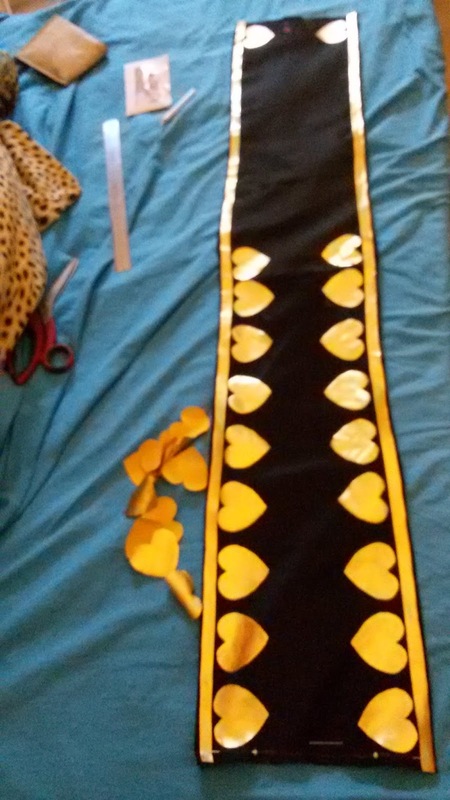 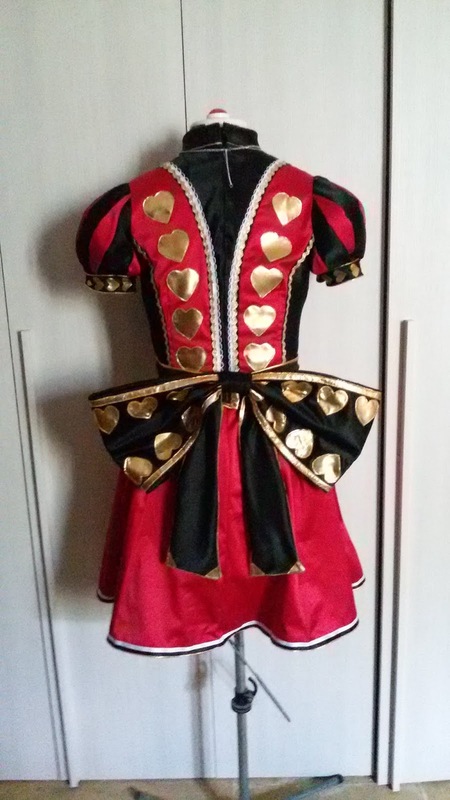 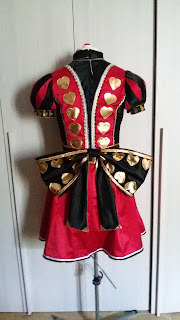 I cut out a lot of gold hearts and "ribbons", glued them on, then stitched them down. I sewed the rectangle into a loop, then gathered the centre. I covered the middle of the bown with a black rectangle of fabric. 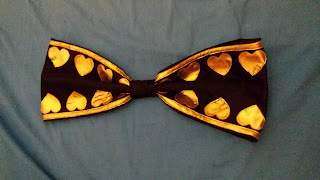 The bow attaches to the waistband with hairpins! 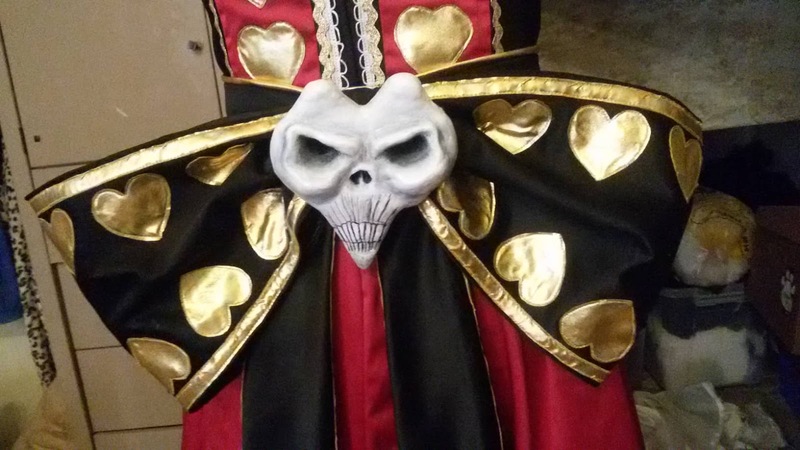 I originally made a skull for this costume years ago from upholstery foam and paper-mache. 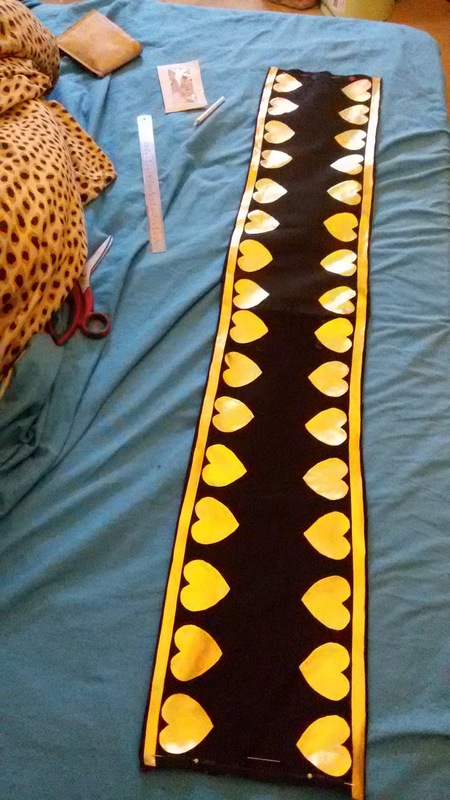 It was pretty rough and not very accurate. 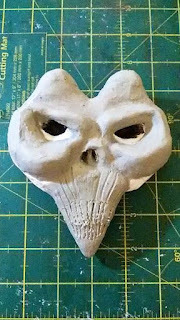 I added details on to the basic skull using paper clay. Once the clay dried, I sanded it down to make it a little smoother. 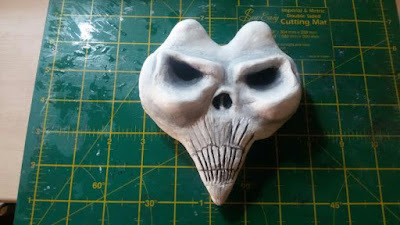 I painted the skull white, added details with grey and black, got annoyed at how dark it was and added more white, and finally got a reasonable-looking skull. 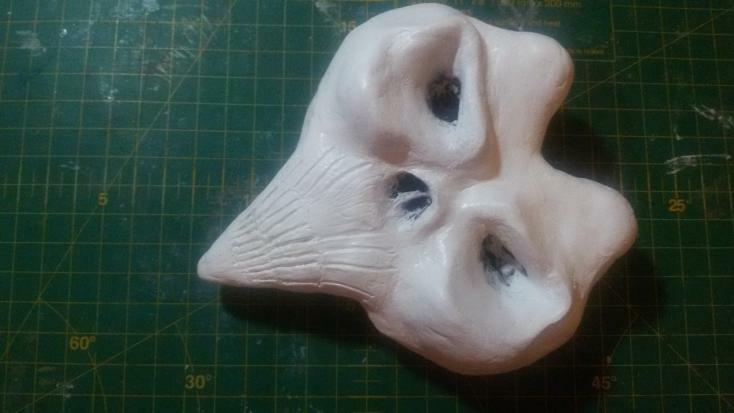 Here's the final skull. It attached to the bow with a large safety pin. 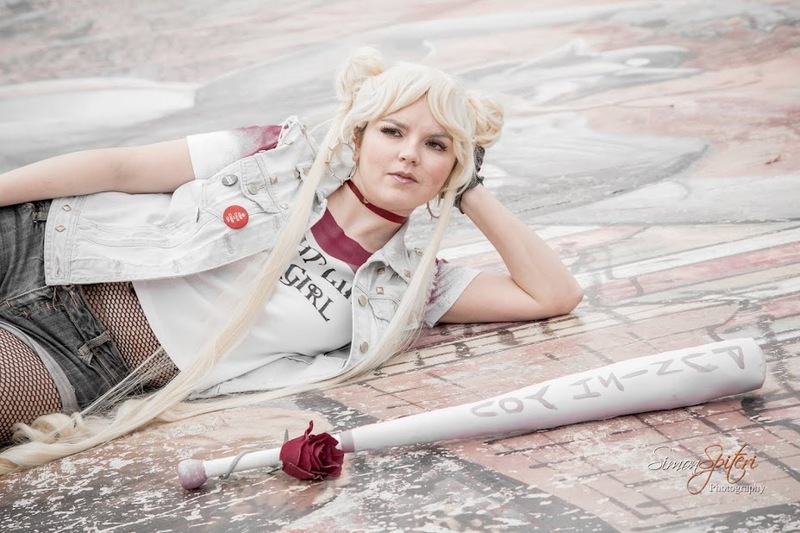 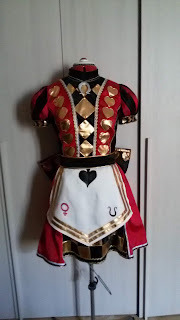 I used a template I found here: https://www.red-lilly.com/en/props/alice-liddells-vorpal-blade/ and cut out the pieces. 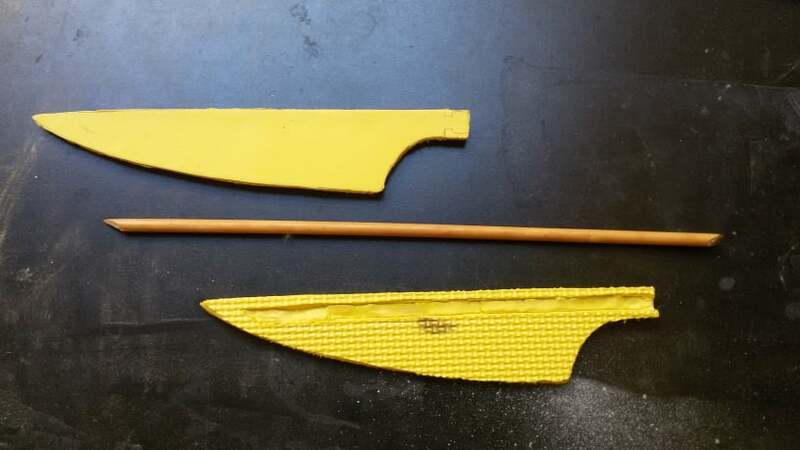 I forgot to photograph the next steps, but I used paper clay to smooth out the blade and to create the shape of the handle. 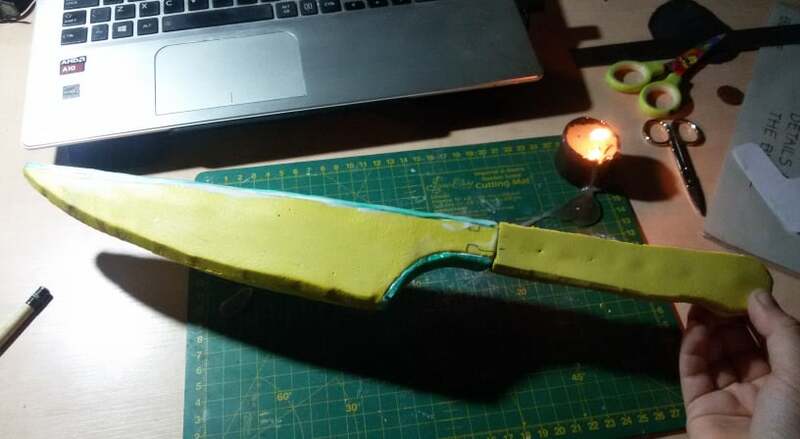 After a lot of sanding I managed to make the knife fairly smooth, but since I don't have a dremel the knife is a little bit rough in places. 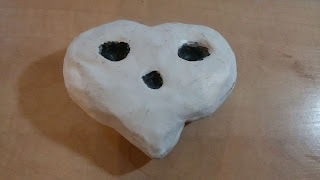 I used 3D paint (puffy paint?) 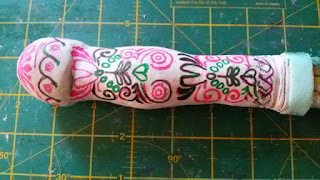 to add details to the hilt. 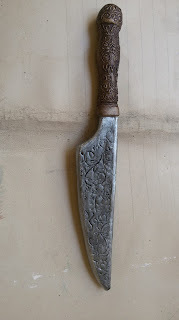 I used a craft knife to cut the details on to the blade, and used heat to expand the cut, creating an engraved look. I spray-painted the whole knife black, then painted the hilt gold, and the blade silver. 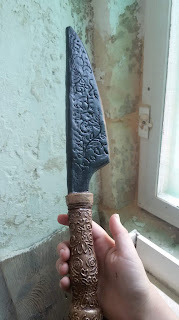 I weathered the handle with brown/black acrylics, and the blade with watered-down black paint.